Alfredo B. Sanchez, age 81, entered into eternal rest on Thursday, January 24, 2019. He was born in Sejita, Texas, on April 5, 1937, to Petra and Elias Sanchez. Upon the death of his father in 1955, he, along with his mother and five other siblings, moved to find work in Sandia, Texas, at Knolle Jersey Farms. He met and fell in love with Odilia Gonzales. Shortly thereafter, Alfredo and Odilia married. Alfredo moved his family to Orange Grove, Texas. There, Alfredo and Odilia dedicated all their energy in providing for and raising four sons. Alfredo will be remembered for being a very dedicated husband and father. Throughout his life, Alfredo worked for several companies; Gulf Star Foundries Inc., later as a truck driver for NuWay Transport and Coastal Transport. Alfredo was very gifted creatively. He enjoyed wood crafting. He could easily turn pieces of wood into furniture, a bird house, or a sign. He enjoyed writing music and playing the accordion. His greatest love was praising our Lord Jesus Christ. He read the Bible daily and loved proclaiming the word of God to anyone who gave him the time. He believed strongly in the power of prayer and accepted the will of God at all cost. Above all, Alfredo will be remembered for his kindness of heart. He was always accepting of others and genuinely cared to hear what stories or problems they might have had. He helped many people through his prayers and words of reassurance of the love of God for his children. Alfredo was a devoted husband, father, grandfather and brother. He was a member of St. John of the Cross Catholic Church in Orange Grove, Texas. He was preceded in death by his parents, Elias and Petra Sanchez; two brothers, Benito Sanchez and Felix Sanchez; and one sister, Maria Munoz. Alfredo will be dearly missed by all who knew him. Among those left to cherish his memory are his loving wife of 59 years, Odilia Sanchez; his sons, Alfredo Sanchez, Jr. (Belinda), Joel Sanchez, Daniel Sanchez (Melissa), and Rene Sanchez (JoAnn); twelve grandchildren; seven great-grandchildren; two brothers, Alberto Sanchez (Odilia), and Guadalupe Sanchez; one sister, Adelina Garcia, as well as numerous nieces, nephews, cousins and cherished friends. The family would like to thank the staff of Kindred Hospice Care, especially Bethany Wareneck, for their compassionate loving care of Alfredo. 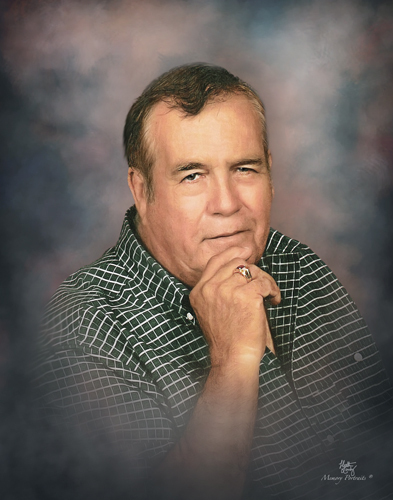 Visitation with family receiving friends will be held from 5:00 p.m. to 9:00 p.m. on Sunday, January 27, 2019, with Holy Rosary to be recited at 7:00 p.m. that evening at Holmgreen Mortuary Chapel in Alice, Texas. Funeral Mass will be celebrated at 10:00 a.m. on Monday, January 28, 2019, at St. John of the Cross Catholic Church in Orange Grove, Texas. Interment will follow at Casa Blanca Cemetery in Orange Grove, Texas.